Good morning from Augusta. Gov. Janet Mills is now more than two months into her tenure and has made many breaks from former Gov. Paul LePage, but she and her administration have barely begun to fill hundreds of vacant seats on state boards and commissions. Those spots often fly under the radar when it comes to observing state government, but there are more than 300 of these groups that help advise policymakers and regulate most facets of life, from the Maine Public Utilities Commission to the State Board of Funeral Service. About 400 of these seats were filled with nominations made in 2018, but 1,100 other seats were filled at that time by people sitting in seats after their terms expired — some dating back to the 1990s — or left vacant during the LePage administration. Looking at the list shows just how much rote work awaits the governor. Mills, a Democrat, made quick progress in assembling her 14 commissioners. The last one, Amanda Beal of the Department of Agriculture, Forestry and Conservation, was installed by the Legislature in mid-February. Mills has only made a handful of other appointments, including picking former Rep. Bob Duchesne, D-Hudson, for the Board of Environmental Protection. She has a long way to go. Mills has control of nominating 637 of the 1,141 seats occupied by people with expired terms — a general practice if the governor doesn’t replace them — or vacant. The rest of them are appointed by other state officials or legislative leaders. Most of those 1,141 seats are filled — for now. As of last year’s end, 797 people were still sitting in their seats after terms had expired. One of the people in that group as of 2018’s end was Shawn Moody, a trustee of the University of Maine System and Mills’ Republican opponent in the 2018 governor’s race. While LePage is largely responsible for not filling those seats, more than 50 date back to previous administrations. The other 344 seats in that group are vacant, including nine spots on the boards of visitors to four Maine correctional facilities and 14 spots on the Maine Developmental Disabilities Council and a related council on developmental disabilities. Mills’ administration says it will focus on confirmable appointments, which comprise a relatively small group of the outstanding board and commission seats. Only 90 of these seats that are held by expired term-holders or vacant are subject to legislative confirmation, including Moody’s seat and another one on the Maine Ethics Commission. Mills spokeswoman Lindsay Crete said on Wednesday that the governor will first focus on those positions and that the administration is “working to appoint individuals in as expeditious a manner as possible” by working with stakeholder groups. 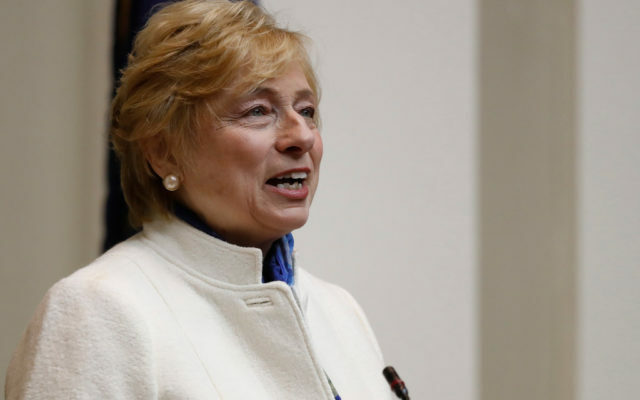 The new governor will get some bigger appointments soon: The term of Mark Vannoy, the LePage-appointed chairman of the Public Utilities Commission, is up by month’s end, giving Mills control over the first of two appointees to that crucial body during her first term in office. The governor on Thursday submitted a bill that would change Maine law on who can perform abortions. The proposed legislation, which is sponsored by House Speaker Sara Gideon, D-Freeport, would allow a physician assistant, an advanced practice registered nurse, certified nurse-midwives or other medical professional to perform the procedure. Current law limits the legal ability to perform abortions to physicians and this law would overturn a state law that the ACLU and Planned Parenthood challenged in a 2017 lawsuit. A virtually identical bill backed by Mills as attorney general during the 2018 legislative session went nowhere. The move won early praise from the American Civil Liberties Union of Maine and other abortion rights groups, but it is likely to be opposed by anti-abortion groups as an expansion of abortion access. Higher education will be the focus of a joint session of the House and Senate today. In the House chamber around 11 a.m., outgoing University of Maine System Chancellor James Page, who will retire at the end of this school year, will deliver his final State of the University System address, joined by Maine Maritime Academy President William Brennan and Maine Community College System President David Daigler. Watch it live here. Most legislative committees are scheduled to meet, but many have short agendas. The Appropriations and Financial Affairs Committee will take up the portion of Mills’ $8 billion, two-year budget that includes funding for veteran and military programs and Maine elections. Other bills slated for public hearings include adjusting the standards for which deaths are reported to the Office of the Chief Medical Examiner. an act to restore the Penobscot River by way of assessing fish passage barriers and water quality, allowing ratepayer assessments on electricity costs, and establishing a law enforcement training program for certain Bureau of Parks and Lands employees. Find the full legislative schedule here. — The debate over whether unvaccinated children should be allowed to attend public schools took center stage at the State House on Wednesday. Hundreds of people showed up for a legislative committee hearing on two bills that address vaccinations. One, sponsored by Rep. Ryan Tipping, D-Orono, and Sen. Linda Sanborn, D-Gorham, would significantly reduce non-medical exemptions. The other, sponsored by Sen. Russell Black, R-Wilton, would open the parameters for medical exemptions. During early testimony, Democrats — including the Mills administration but with the exception of Sen. David Miramant, D-Camden — advocated for Tipping’s bill while Republican lawmakers generally backed Black’s bill, with some saying it would be required as a check on Tipping’s bill if it were to pass. Public testimony ran the gamut. Support centered on public safety risks and concern that unvaccinated children could unintentionally cause epidemics of diseases that had been largely eliminated by immunization programs. Opposition mixed libertarian advocacy for personal and parental rights with skepticism based on questionable science and tragic personal anecdotes. — A Fox News host abandoned his plans for a studio in Oxford County, blaming a newspaper’s reporting even though a town was set to vote on it. You can’t see it on TV, but the library in Woodstock’s village of Bryant Pond has been the setting for several episodes of Tucker Carlson’s show on Fox News, since the conservative host has a home in Woodstock. On Wednesday, the Sun Journal reported on his plans to buy an unused town-owned garage and turn it into a dedicated studio. After the story posted, Carlson told the newspaper that Fox wouldn’t invest in equipment for a place that the public knew about, saying he was “crushed” and calling the story “a total violation of my privacy.” However, the item was set to go up for approval at the Woodstock town meeting on Monday. The host is dealing with fallout over recently unearthed, years-old offensive comments on radio shows. — Doctors in Maine have made the sharpest reductions in the country in the amount of fentanyl they prescribe. Maine Public reportsthat a study from the University of New England, Husson University and Pennsylvania’s Geisinger Commonwealth School of Medicine. fentanyl prescriptions from Maine physicians fell by almost 31 percent between 2016 and 2017. The decrease corresponds with implementation of a Maine law that tightened restrictions on the kinds and amounts of painkillers that doctors can prescribe in Maine. — State transportation officials will take another stab at ferry rates after changes last year enraged residents of one island. The Maine Department of Transportation will put forth a proposal for a new Maine State Ferry Service ticket rate structure by the end of March. Following the implementation of a flat-rate structure last May, residents of Islesboro sued the DOT, alleging that the department failed to follow appropriate rulemaking procedures when it put the new rate structure in place. A new rulemaking process is underway, although Transportation Commissioner Bruce Van Note cautioned that it might not yield the changes Islesboro residents seek. State transportation officials have said that a new rate structure for the ferry service is needed to avoid a projected budget shortfall, which Van Note in his letter attributed to decreased ticket sales and budget increases. Today marks the anniversary of perhaps the most significant action the Maine Legislature has taken in the 21st century. On this date in 2013, the House and Senate gave final passage to a bill that makes it legal for bars and restaurants to open at 6 a.m. on St. Patrick’s Day when the blessed event falls on a Sunday. Three days from now, you’ll be washing down your spinach omelettes — or locally sourced duck-egg huevos estrellados in Portland — with Guinness as dawn cracks in the closest state to the Emerald Isle. But it wasn’t easy. The State House was fraught with tension the week leading up to the fateful vote, with LePage calling the proposal “garbage” and threatening to veto it just a day before the House and Senate passed it. Whether it was a “magically delicious” overnight visit from the Lucky Charms leprechaun or the likelihood of a veto override, LePage changed his mind and signed the bill on the Ides of March. Please click here to relive that glorious moment in all its photogenic spendor. And set your alarms for 6 a.m. Sunday, so we can all raise a glass to salute LePage and the lawmakers who made doing so legal. Here is your soundtrack.